11 bit studios and Digital Sun have announced that Moonlighter will release on Nintendo Switch in November. 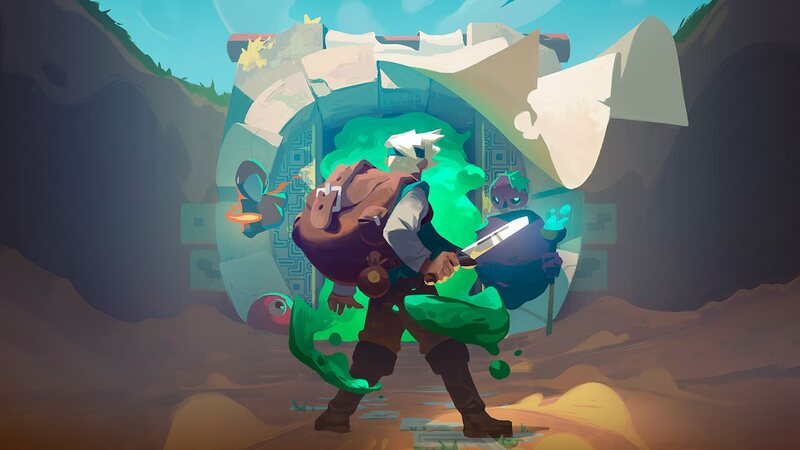 This action RPG with rogue-lite elements sees you play as Will, an adventurous shopkeeper who dreams of becoming a hero. When an archaeological excavation uncovers a set of Gates, the people were quick to realise that the ancient passages lead to different realms and dimensions. That soon saw Rynoka, a small commercial village, settle near the excavation site – a base from which brave and reckless adventurers could seek out treasures. Your everyday routines will see you shopkeep before setting out to defeat monstrous enemies in dungeons. From placing items on sale, managing your gold reserves and recruiting assistants, the experience soon turns to mastering the weapons that you wield in combat, where critical timing and your positioning is important. Moonlighter will release on the Nintendo eShop for Nintendo Switch worldwide in November.